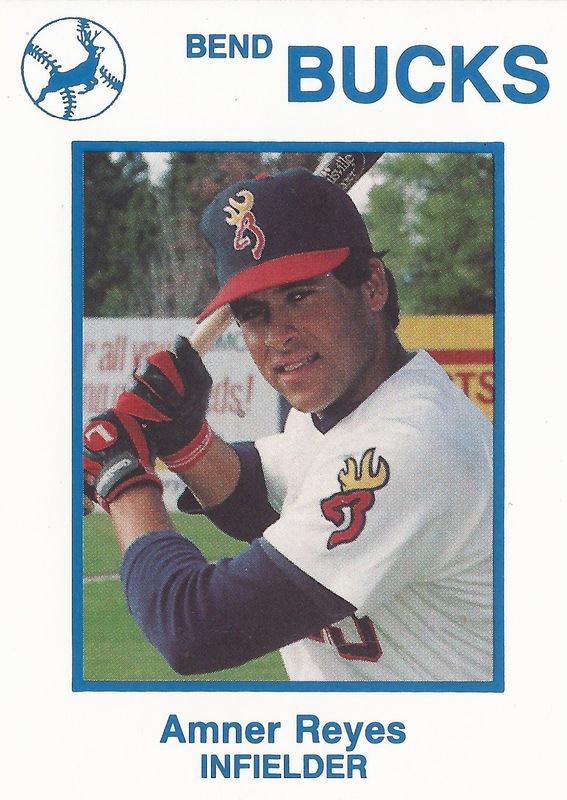 Bend manager Mike Bubalo could have gone conventional in this July 1990 with maybe a squeeze bunt. Instead, he chose to trust his hitters, including Amner Reyes, according to The Bend Bulletin. The choice led to outs instead of runs, but Bubalo stood by his call, he told The Bulletin. "No," Bubalo responded to The Bulletin when asked whether he'd change it. "With the guys we had up there, McCormick and Amner, I'm letting them swing the bat. Maybe we break it open with a big inning." Reyes swung the bat that year for Bend. That season, however, ended up being the only time he'd swing his bat as a pro. He played that one season, but no more. Reyes' career began and ended that year as he signed to play with the co-op short-season Bend team. He resided in Amarillo, Texas. With Bend, Reyes started the year rather strong. He scored on a double in a June game. He hit a two-run home run in another game days later. Reyes got into 57 games for Bend that year. He hit .236, with two home runs, 27 RBI and 11 stolen bases. He didn't return for a second season.